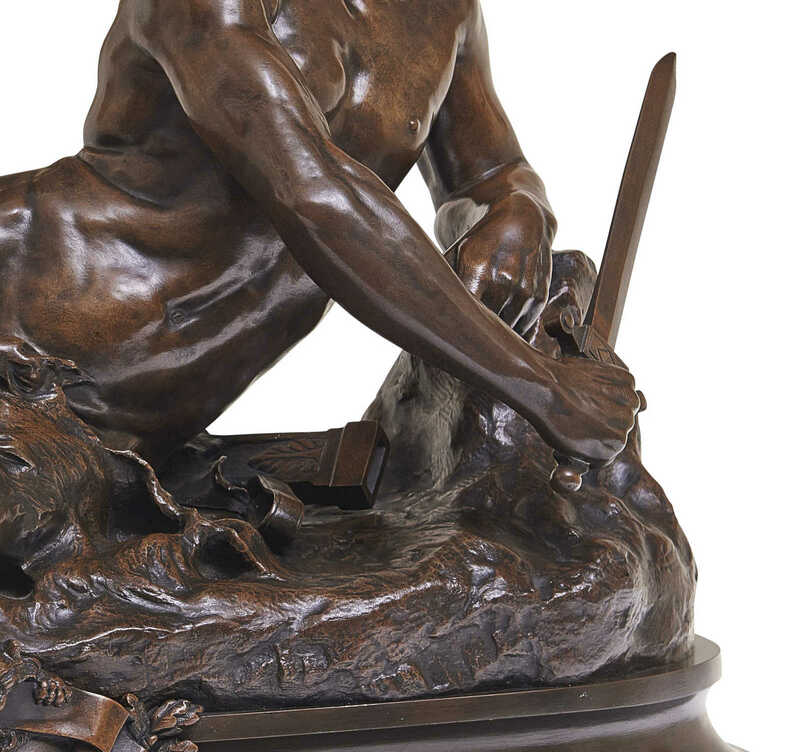 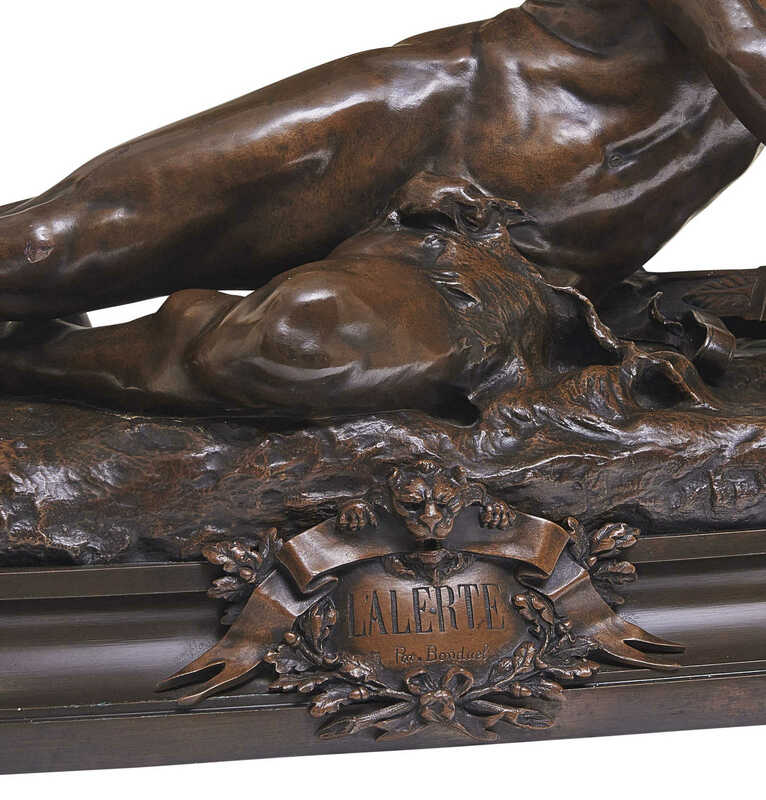 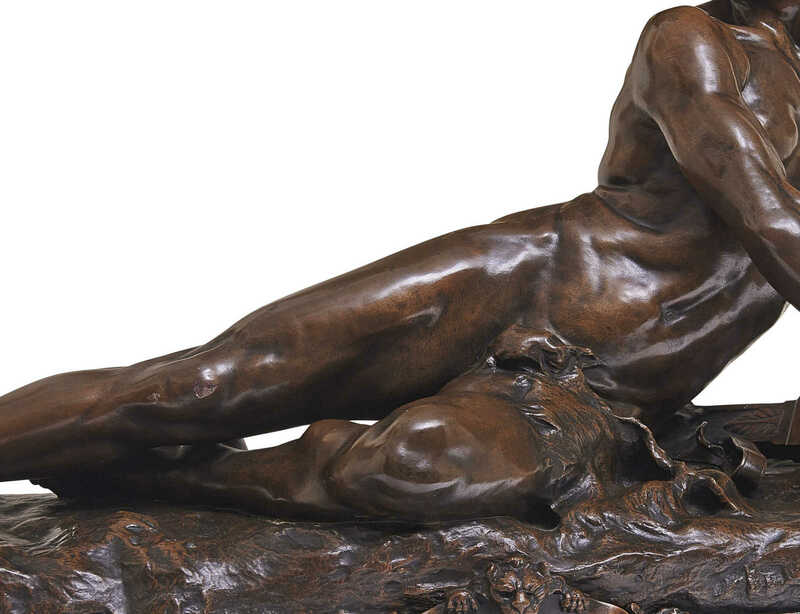 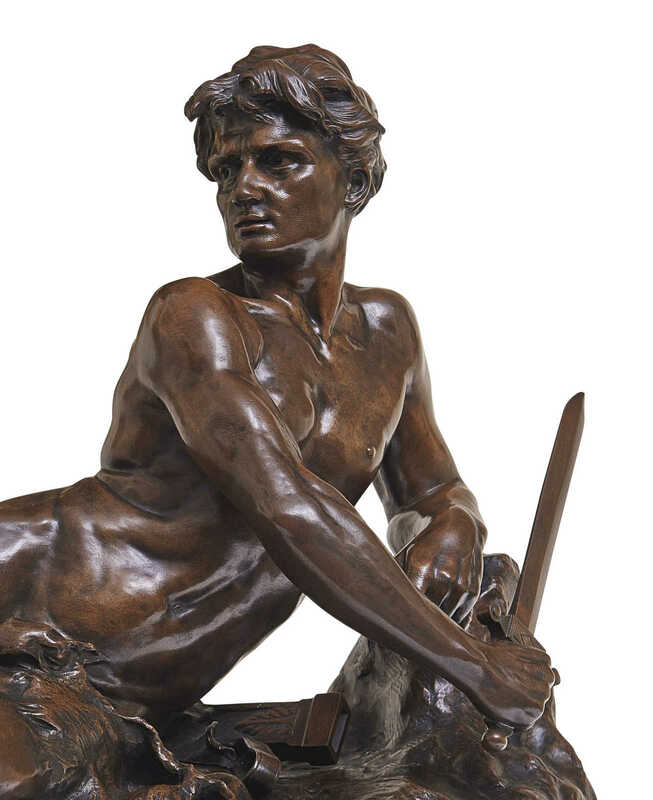 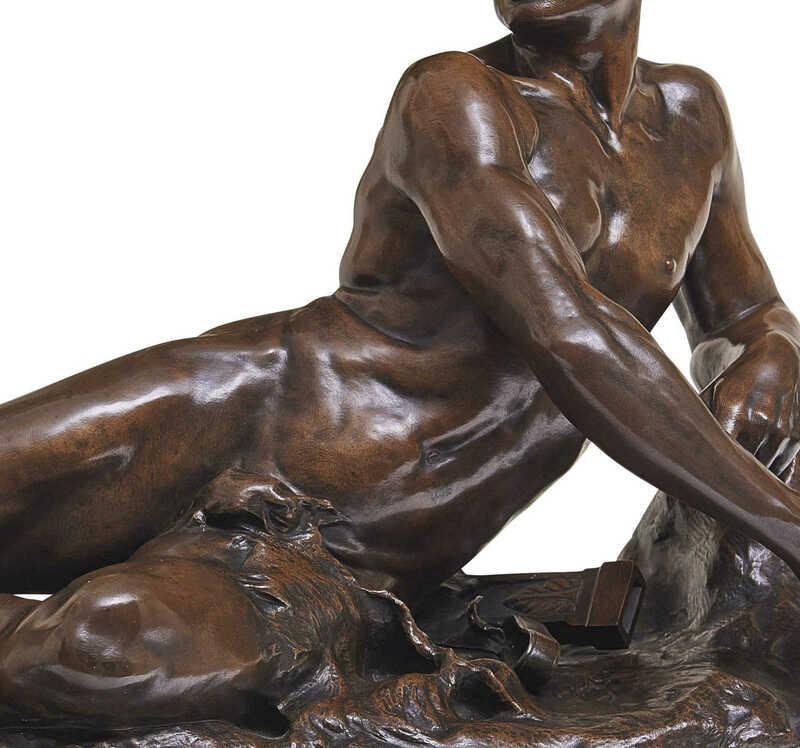 'L Alerte', bronze by Leon Bonduel (Paris 1857-1928); bronze figure of a soldier; the strong young figure lying on a rocky ground holding his sword ready in his hand. 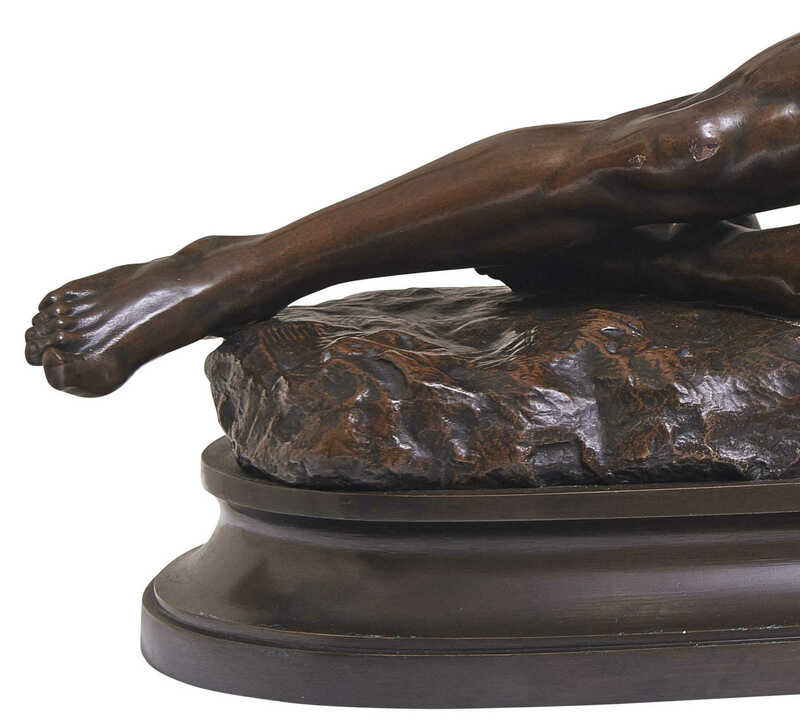 Rich brown patination. 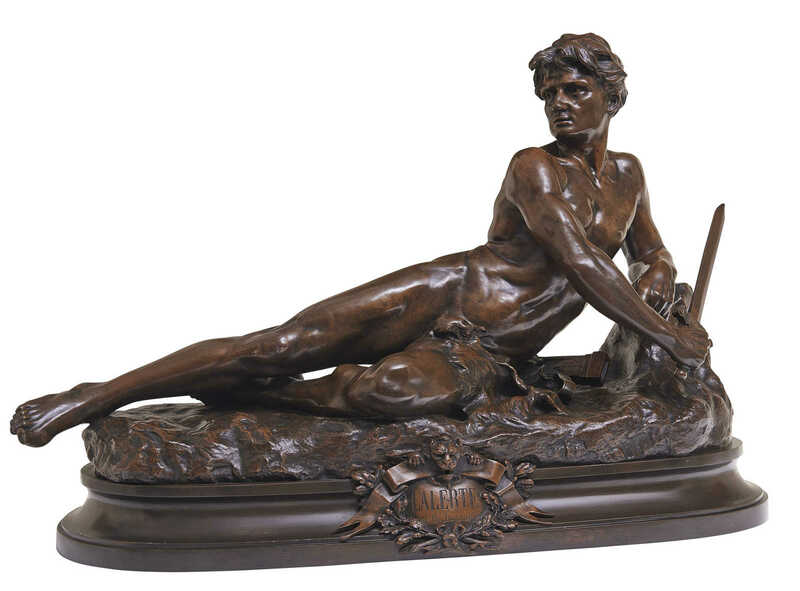 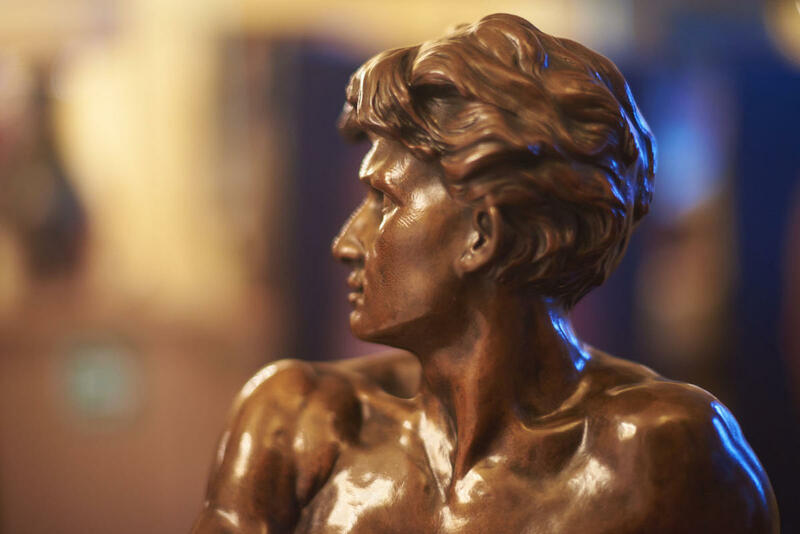 A similar bronze can be found at the Museum of Rennes.